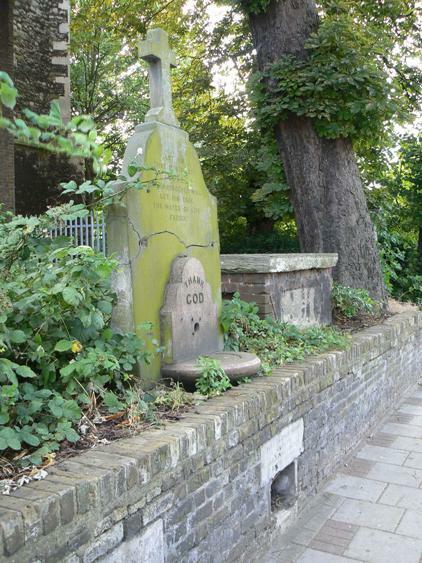 Another view of the Grand Junction Water Company stone and fountain in St Lawrence's churchyard. See other photos showing the inscription and the lower water outlet. Thanks to Dave Stoneleigh who provided this photograph, taken on June 28th 2008 during the Brentford Festival weekend. Return to smaller key page or return to larger key page. Alternatively use your 'back' button to return to a the last page you visited.